Some new pieces and some experiments not yet sorted through to satisfaction. Pieces to have hanging around to play with in case a solution pops into my head. 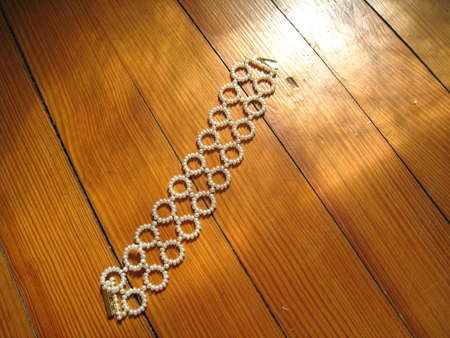 This entry was posted on Wednesday, July 15th, 2009 at 10:47 am	and is filed under jewelry. You can follow any responses to this entry through the RSS 2.0 feed. You can leave a response, or trackback from your own site. I LOVE these. 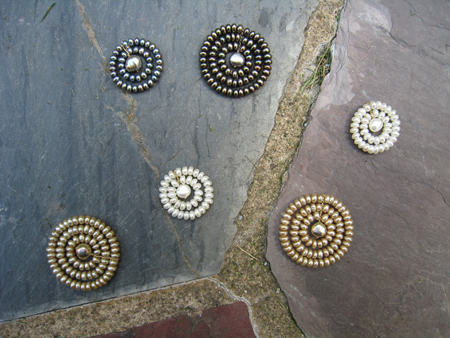 I am particularly taken with the ones with the larger pearls in the middle, though I have always loved the necklaces like the one in the top photo. Just lovely. 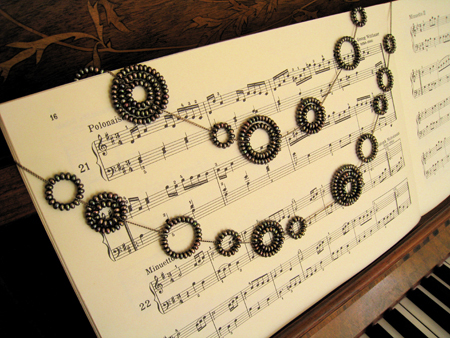 the neclace on sheet music is a lovely shot, circles are the best. What about a snake to cuddle up with all those circular eggs?